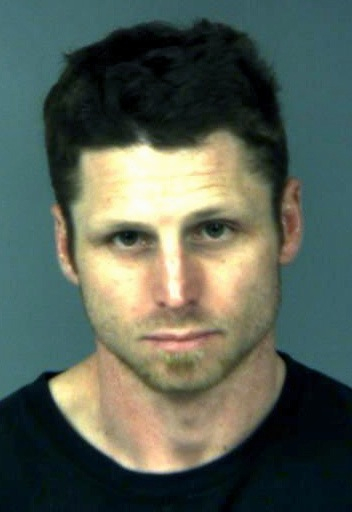 ARCATA – On Thursday, Jan. 3 at about 2:30 p.m., the Humboldt County Drug Task Force and the Arcata Police Department conducted a probation search on Loren Wayne Millsap, 32, who lives at 1721 Stewart Avenue. Millsap is on felony probation for a narcotic violation with a search and seizure clause. Millsap had a felony no-bail warrant for his arrest for violation of probation. When officers arrived at Millsap’s residence they located him inside of his apartment. Millsap was taken into custody without incident for the felony warrant for his arrest. Officers then searched Millsap’s residence, where they located multiple pieces of tinfoil with useable amounts of burned heroin on the tinfoil. Officers located 420 grams of marijuana hash, five individual one bags of processed marijuana buds, and 287 growing marijuana plants that ranged in size from one inch to two feet in height. Millsap was arrested for the felony no bail warrant, plus new charges for cultivation and possession for sales of marijuana, possession of heroin and for violation of his probation. Millsap was transported to the Humboldt County Correctional Facility where he is being held on his no bail warrant for his arrest. The City building official was called to the scene for hazardous wiring of the three lights in use in one grow room. Due to complications from the residence being a duplex, electrical power was not disconnected except for the garage area of the one residence. The City is still evaluating the wiring situation and how to pull the meter for just the one residence and not the entire duplex. This entry was posted on Friday, January 4th, 2013 at 9:19 am	and is filed under News. You can follow any responses to this entry through the RSS 2.0 feed.